Reassurance shield as M-38 begins. 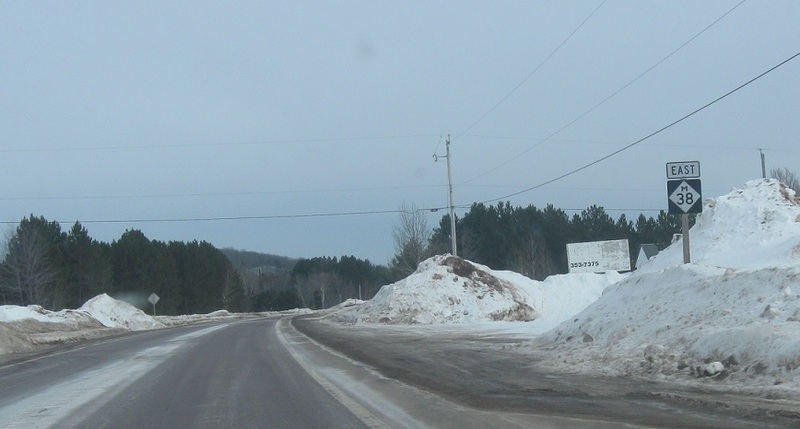 Reassurance shield as we head out of Ontonagon. Reassurance shield after Calumet Rd. 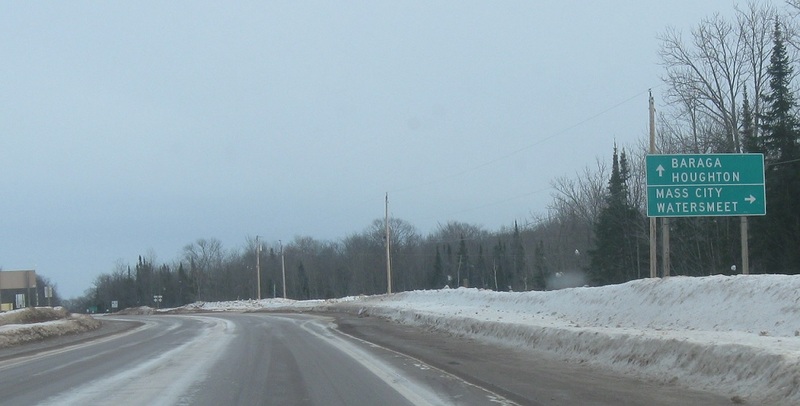 A couple miles later, we’ll approach M-26. 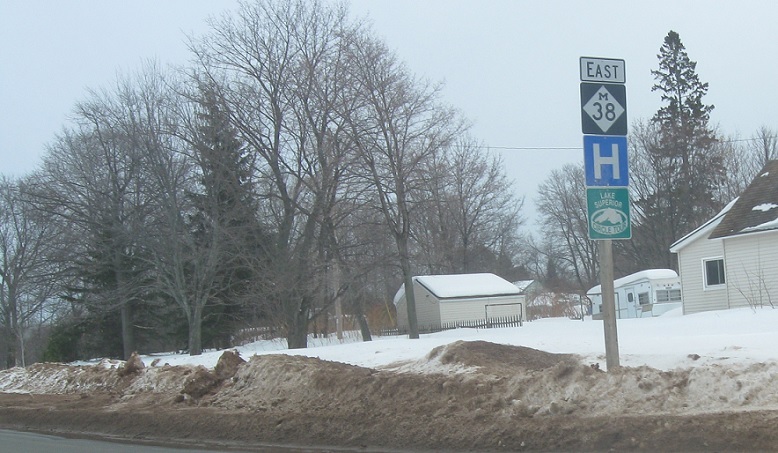 Turn right for M-26 south. M-26 north and M-38 east will run concurrent for a bit less than a mile. 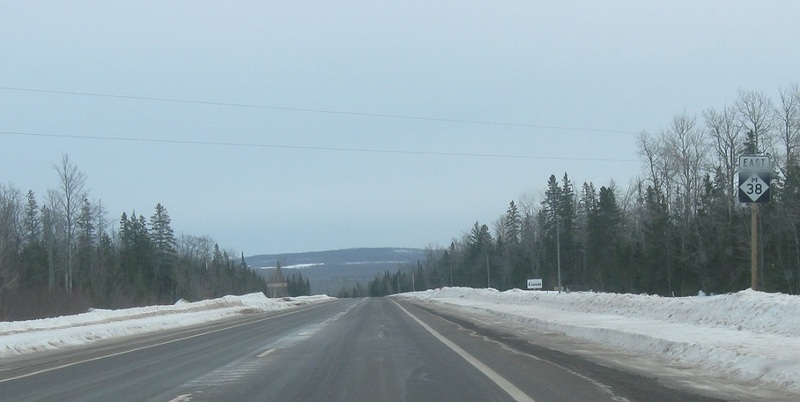 Follow 26 north/38 east to Houghton and Baraga. 26 south heads to Mass City and Watersmeet.